Kassie Simpson, front, runs the bases in a Rainier High School softball game against Raymond last week. 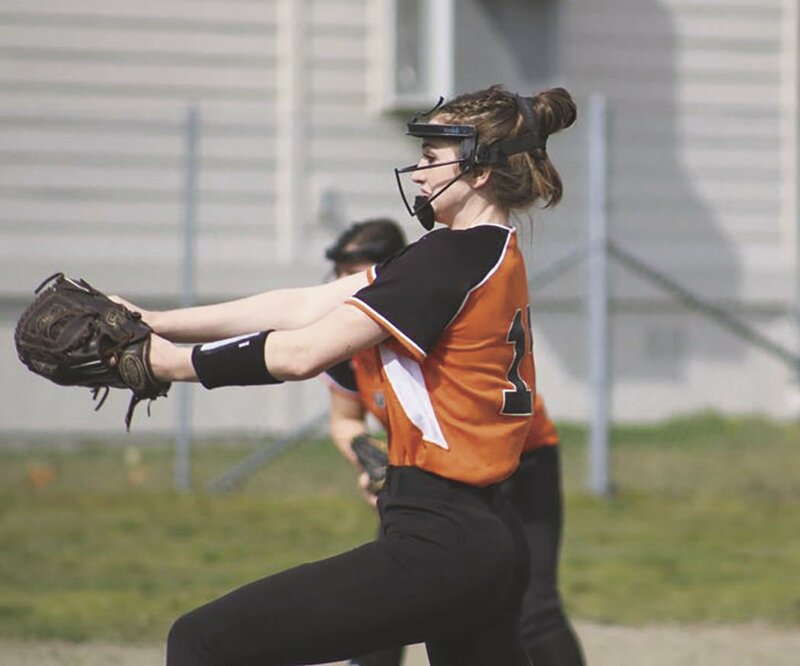 Bailey Elwell readies a pitch against Raymond in a Rainier High School softball game last week. 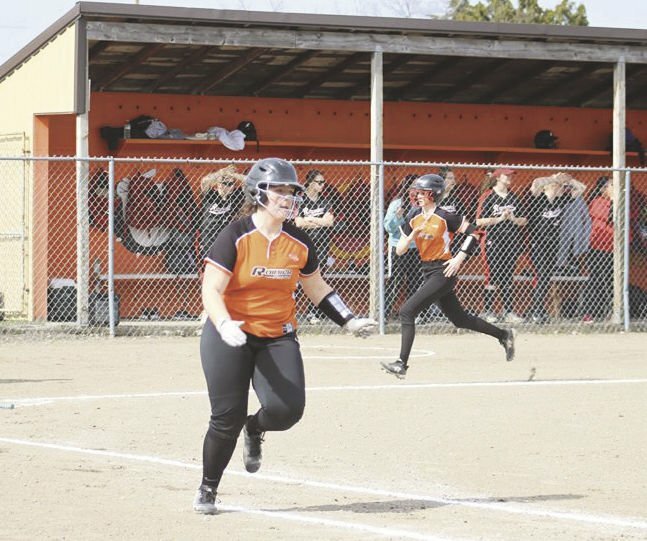 A walk-off left the Rainier Mountaineers fastpitch on the wrong end of a 7-6 defeat to Raymond on Friday. The game was tied at six with Raymond batting in the bottom of the seventh when a Seagull singled on a 0-2 count, scoring one run. Rainier collected six hits and Raymond had 11 in the high-scoring affair. The Mountaineers fired up the offense in the first inning. Kassie Simpson drove in one when she doubled. Rainier scored three runs in the third inning. Simpson, Bailey Elwell and Sami Stang each had RBIs in the big inning. Raymond’s first pitcher surrendered six runs on six hits over seven innings, striking out six. Elwell started the game for Rainier. She lasted four innings, allowing two hits and two runs while striking out seven. Olivia Watts threw two and two-thirds innings out of the bullpen. The Mountaineers tallied six hits. Simpson and Elwell all managed multiple hits for the team. Elwell and Simpson each collected two hits to lead the Moutnaineers.